NYCPU to Campbell Brown: Curse Your Sudden but Inevitable Betrayal! | Daniel Katz, Ph.D.
NYCPU to Campbell Brown: Curse Your Sudden but Inevitable Betrayal! Mona Davids and the New York City Parents Union are disappointed in Campbell Brown. Ms. Davids, whose causes as a parent activist in New York have been various and have led her to join or oppose other education advocates and “reformers” depending on the issue at hand, followed the Vergara decision in California with plans to file her own lawsuit in New York aimed at laws she claims protect incompetent educators. While not as far reaching as the Vergara plaintiffs’ case, Ms. Davids aims to have injunctions issued against “last in, first out” and other dismissal rules. 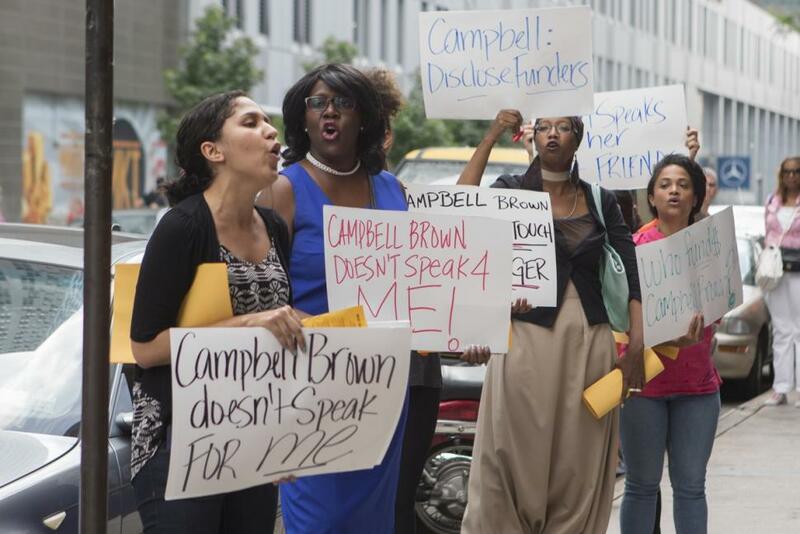 Ms. Davids initially expected and received assistance from Campbell Brown’s “Partnership for Eduational Justice” that initiated its own, separate suit with a more Vergara-like profile than Ms. Davids’. According to interviews given to Eclectablog, Ms. Brown contacted Ms. David’s and NYCPU Vice-President Sam Pirozzolo wanting to discuss and coordinate efforts, but that meeting was cancelled. Concerned that PEJ would file a lawsuit first, NYCPU rushed to file in Staten Island on July 3, 2014. Davids and Pirozzolo claim they were subsequently contacted by Brown again who praised them and offered help which initially manifested with input from Brown’s attorney on how to amend the NYCPU suit to improve it. Meanwhile, Brown filed her own lawsuit in Albany in an emotionally orchestrated press conference. The NYCPU lawsuit soon got support from “Students Matter,” the California group funded by technology entrepreneur David Welch which launched the Vergara suit, and legal representation was offered by law firm Gibson Dunn. It certainly seemed as if the anti-tenure forces in New York were coordinating their efforts. Given the similarities between Davids’ and Brown’s suits, New York Attorney General Eric Schneiderman filed a motion to have the suits combined in Staten Island, and a hearing with all parties was agreed to for September 3rd. Davids and Pirozzolo allege that what happened next is the fault of Brown and her allies threatening parties supporting the NYCPU suit. Officially, both Gibson Dunn and Students Matter have withdrawn their support and representation in the NYCPU lawsuit, and the New York Post reports “sources” saying Gibson Dunn had existing education clients not pleased with them representing Davids. That doesn’t explain why Students Matter withdrew, and according to their interview with Electablog, both Davids and Pirozzolo claim they were told by their Gibson Dunn attorney that Brown had directly stirred up the trouble with the firm’s existing clients. Brown, in keeping with her established practice of not disclosing very much about how Partnership for Educational Justice operates, had no comment for the NY Post story. What this means is that the New York City Parents Union is slated to go into the September 3rd hearing with no effective legal representation, and Brown, who has told the press that she expects both suits to be merged, will likely find her organization in effective control of the whole deal. It is, of course, impossible to know exactly what is going on here. It is entirely possible that Gibson Dunn, a 124 year-old firm with office in 18 cities across 4 continents, did not bother to check if Ms. Davids’ group had any negative experiences with their existing clients or had been involved in legal action with them. It is entirely possible that Gibson Dunn found Ms. Davids’ group too difficult to work with or had irreconcilable ideas about how to proceed. It is possible that Students Matter simply felt that Ms. Davids’ more modestly framed lawsuit was not aggressive enough to suit its own form of advocacy. So we probably cannot expect a clear explanation from Brown about how Gibson Dunn AND Students Matter yanked their support out from under Mona Davids, but we know one thing for certain: These developments put Brown in the driver’s seat. As for Ms. Davids and Mr. Pirozzolo — it is probably unfair to suggest that they absolutely should have seen this coming, but I think it is fair to say they were quite naive in 1) trying to get in on the national drive to break teacher unions from their position as a local organization 2) trusting that Campbell Brown’s primary motivation is what is “best for children” while she deflects any attempt to get information on what interests are behind her efforts. I do not always agree with NYC Parents Union, and I think that their efforts would have been far better spent on what the research tells us about how to retain great teachers — increase support for principal leadership, teacher collaboration and improvements to the workplace environment. However, from the position of a Campbell Brown or a David Welch, NYCPU is also small potatoes. Their executive board doesn’t even have a SINGLE hedge fund manager which is a requirement these days in education “reform” circles. If they are going to insist upon having an opinion and input instead of simply providing parents to make for good optics at press conferences where Ms. Brown can cry about how “honored” she is to be near them, then they are more trouble than they are worth. Campbell Brown has a mission to break up the workplace protections of the last large group of unionized middle class workers in the country, and this is her career now. She’s got secret billionaires to please. She’s got the efforts of former high level White House staffers to coordinate. She’s got more legal coups to coordinate with famous legal scholars like Lawrence Tribe. This is making her famous again, and if history is any judge about the career trajectories of education reformers, she is likely to get (more) rich doing so. Did anyone REALLY think that New York City Parents Union was going to be an equal partner in this? Does anyone doubt whether this is about what is “best for children” instead of what is “best” for breaking the backs of unions and keeping Campbell Brown in the news? The betrayal may have been sudden, but it was probably inevitable. In the sake of accuracy, it’s “Eclectablog”, not “Electablog”.